Following the fun and excitement of Adventurethon Demolish Mackay 2018, we are set to bring an even better experience to Mackay in 2019. Family fun + excitement + extraordinary locations + adventurous challenges are all on offer to you. Ride, Run (or walk) and paddle your way through some of the best locations in the beautiful Mackay region of north Queensland. Start your weekend of fun, thrills and adventure with a mountain bike ride around the always interesting Rowallan Park tracks. Look out for inclusion of the now famous ‘floating bridge’ and ‘spiral of doom’ either or both of which may re-appear again in 2019 along with some new challenges. Follow your ride with a flat-water paddle on the serene waters of Kinchant Dam in the picturesque Pioneer Valley then settle in for the night at the quiet campsite. Awake Sunday for a short drive to join the fun with the very popular Finch Hatton Gorge Adventure Run through the stunning rainforest and get a close look at the waterfalls but be prepared to get wet! Welcome to the MAD MTB XC – Adventurethon Demolish Mackay – Stage 1. 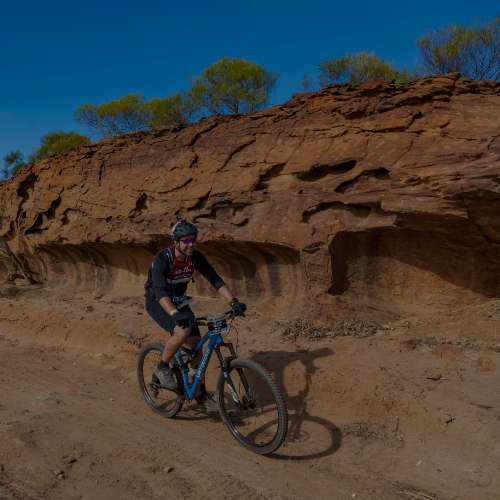 Close to Mackay, Rowallan Park showcases the best of the Mackay mountain biking options. Registrations: Registration is online only. Registrations close 9:00 pm Thursday 10th October or when sold out. Explore the fantastic tracks of Rowallan Park as you race through and round pockets of forest. Various challenges await the rider from tricky technical sections (yes there are alternate lines for the less experienced) to fun little downhills and less technical obstacles where spectators gather to cheer you on. Close to all the amenities of Mackay, Rowallan Park is a great place to start your weekend of fun and adventure. MAD MTB XC caters for riders of all abilities from absolute beginners to elite. Beginners and Juniors can choose to challenge themselves at the shorter and less technical Taste or Junior distance. More adventurous riders looking for a bigger challenge can ride the Enduro event, a shorter but no less technical version of the longest ride, the Ultra. For some participants this will be the first of three stages as they attempt to complete the Ultimate Adventurethon Demolish. Others will take a more leisurely approach and perhaps only tackle the mountain bike stage before heading off to spectate at the other events and get their kicks that way. Whatever approach you take we guarantee you will have a blast. You won’t get bored as you traverse different terrains and obstacles on this circuit course. A must visit for all mountain bikers so why not do it next October? The course winds its way around the single tracks and open spaces of Rowallan Park. This is a technical course but has A & B line options for the more difficult sections as well as sections of fire road that provide places to overtake. There will be some less technical riding on the grass in between laps to allow passing as well as being able to showcase you to the spectators and throw in some cyclocross style features to keep things interesting. Ultra competitors will complete 3 laps of 7.4 km (23 km total) but because of the technical nature it will feel longer. There will be a cut off at 3 hrs. The course winds its way around the single tracks and open spaces of Rowallan Park. This is a technical course but has A & B line options for the more difficult sections as well as sections of fire road that provide places to overtake. There will be some less technical riding on the grass in between laps to allow passing as well as being able to showcase you to the spectators and throw in some cyclocross style features to keep things interesting. Enduro competitors will complete 2 laps of 7.4 km (15 km total) but because of the technical nature it will feel longer. The course winds its way around some less technical single tracks and open spaces of Rowallan Park. This course has sections of fire road that provide places to overtake and minor obstacles that should be within the capabilities of all participants. There will be some riding on the grass to allow passing as well as being able to showcase you to the spectators and throw in some features to keep things exciting. 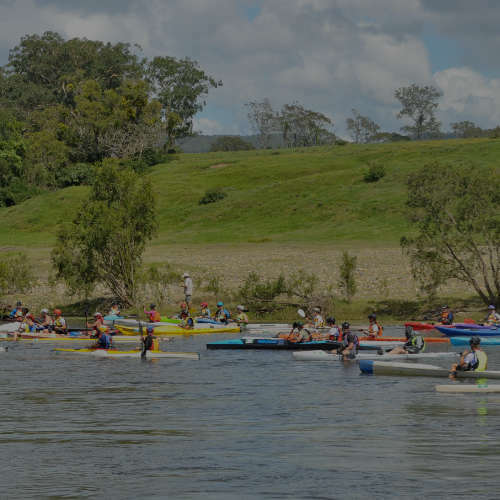 Welcome to that Dam Kinchant paddle – Adventurethon Demolish Mackay – Stage 2. In the picturesque Pioneer Valley sit the quiet waters of Kinchant Dam waiting to be disturbed by the splish splash of raging paddles, your paddles, as you navigate the scenic course. Explore the calm waters of Kinchant Dam as you follow the course around the area. The Kinchant Dam paddle caters for paddlers of all abilities from absolute beginners to elite. Beginners and Juniors can choose to challenge themselves at the shorter and completely achievable Taste or Junior distance. More adventurous paddlers looking for a bigger challenge can tackle the longer Enduro event and those feeling really adventurous and the elite paddlers have the Ultra distance to challenge them. For some participants this will be the second of three stages as they attempt to complete the Ultimate Adventurethon Demolish. Others will take a more leisurely approach and perhaps only tackle the paddle stage and spectate at the other events and get their kicks that way. Whatever approach you take we guarantee you will have a fun. A must try for all paddlers new or old, so why not do it next October? This course will take you on two scenic laps of Kinchant dam as you trace a roughly triangular course around the turn buoys. Twice round doubles your opportunities to experience some sweet flat water paddling while taking the scenic delights of the area as long as you remember to look around and enjoy your challenge. This course will take you on a scenic lap of Kinchant dam as you trace a roughly triangular course around the turn buoys. You will experience some sweet flat water paddling while taking the scenic delights of the area as long as you remember to look around and enjoy your challenge. This course will take you around a roughly triangular course about 2 km long. You follow around turn buoys before reaching the shore and a short sprint to the finish line. You will experience some sweet flat water paddling while taking the scenic delights of the area as long as you remember to look around and enjoy your challenge. Welcome to the Finch Hatton Gorge Adventure Trail Run – Adventurethon Demolish Mackay – Stage 3. Our Finch Hatton Gorge runs will test the skills of athletes and excite their senses as they run (and get wet) on some the best trails in the region. Beginners and Juniors can choose to challenge themselves at the shorter and completely achievable Taste or Junior distance. More adventurous paddlers looking for a bigger challenge can tackle the longer Enduro event and those feeling really adventurous and the elite paddlers have the Ultra distance to challenge them. For some participants this will be the third and final stage for the weekend as they attempt to complete the Ultimate Adventurethon Demolish. Others will take a more leisurely approach and perhaps only tackle the paddle stage and spectate at the other events and get their kicks that way. Whatever approach you take we guarantee you will have a fun. A must try for all paddlers new or old, so why not do it next October? The Ultra course starts at race HQ and loops out through private property before returning past the start and heading off into the National Park to visit Araluen Falls, enjoy the volcanic boulders and lush rainforest vegetation and swear at the steps before arriving at the turn around point at the Wheel of Fire Cascades. From there competitors retrace their steps back to the finish line. However, the fun isn’t restricted to a super awesome trail run! We want you to go home with different but fun experience, so we have one or two mystery challenges for you to complete during the run; yes you will get wet, no you won’t have to be an Olympic swimmer, yes we will provide goggles and skinny dipping is optional. The Enduro course starts at race HQ and follows the Ultra runners for a short distance before returning past the start and heading off into the National Park to visit Araluen Falls, enjoy the volcanic boulders and lush rainforest vegetation and swear at the steps before arriving at the turn around point at the Wheel of Fire Cascades. From there competitors retrace their steps back to the finish line. However, the fun isn’t restricted to a super awesome trail run! We want you to go home with different but fun experience, so we have one or two mystery challenges for you to complete during the run; yes you will get wet, no you won’t have to be an Olympic swimmer, yes we will provide goggles and skinny dipping is optional. The Taste/Junior course starts at race HQ and heads off into the National Park to visit Araluen Falls, enjoy the volcanic boulders and lush rainforest vegetation before arriving at the turn around point upstream from Araluen falls. From there competitors retrace their steps back to the finish line. However, the fun isn’t restricted to a super awesome trail run! We want you to go home with different but fun experience, so we have one or two mystery challenges for you to complete during the run; yes you will get wet, no you won’t have to be an Olympic swimmer, yes we will provide goggles and skinny dipping is optional. Adventurethon Demolish has 3 different stages for you to choose from, RUN; RIDE; PADDLE; RUN. 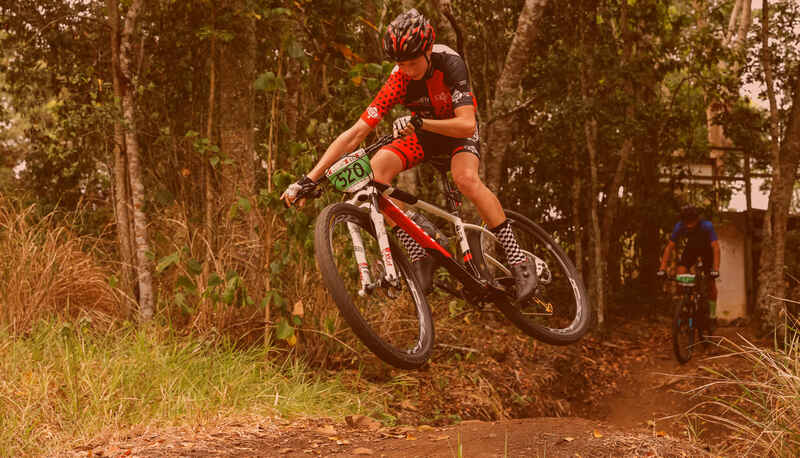 The beauty of the DEMOLISH format is the opportunity to PICK AND CHOOSE events that appeal to you; for example, if you are an avid Mountain biker and can’t paddle, or find it hard to get a team together, you can just compete in the ride stage or add in one or two run stages to your schedule. Those that really want to challenge themselves are able to attempt all three stages to complete the ULTIMATE DEMOLISH. All races will be in the Mackay region over the weekend of 12th & 13th October 2019. We have allowed sufficient time between races to allow you to easily transfer between race locations if you wish to compete in all 3 stages (Ultimate Demolish) or to spectate and see what great fun the competitors are having in the other disciplines. Mackay is located at the mouth of the Pioneer River some 950 km north of Brisbane, 340 km north of Rockhampton and 390 km south of Townsville, 740 km south of Cairns.